Penydre Caravan and Camping Site01873 890246work Touring & Camping ParkSmall friendly site with a shower and toilet block. the nearest shop and pub is only 300yds away in the village. We have 12 caravan pitches and 12 camping pitches. 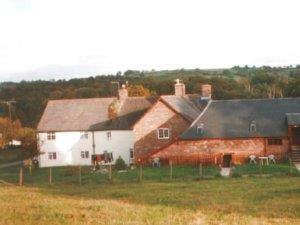 It is five miles from the market town of Abergavenny, 18 miles from Hereford and 25 miles from Brecon. There is a regular bus service passing the farm; train stations are at Abergavenny and Hereford. Small friendly site with a shower and toilet block. the nearest shop and pub is only 300yds away in the village. It is also ideal for many outdoor activities including pony trekking, bird watching, gliding, fishing, photography, caving, quad trekking, golf, climbing, mountain biking and water sports. Take the A465 towards Hereford, 5 miles from Abergavenny take the slip road to Llanfihangel Crucorney the camp site is the first place on the right side the reception is at the Farm first place on the left side.